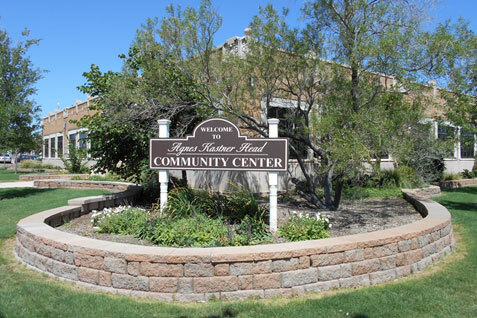 The Hobbs Senior Center is a recreational facility that offers a great variety of programs and services for people 60 years of age and older. The center was founded with the primary objective of assisting the City's elderly citizens in adjusting to personal and social changes brought about by aging. We offer a variety of programs, information, and outreach to our senior citizens. Rides are provided free of charge to Senior Center members. Rides for doctor's appointments, beauty shop, grocery store, etc. are provided as schedules permit between the hours of 8 a.m. and 10 a.m. and from 1 p.m. - 3:30 p.m. Meals are provided to Senior Center members daily (except City holidays). The meals consist of a meat, two vegetables, a salad, dessert and milk. The suggested donation for meals is $2.00. AARP Volunteers prepare simple tax returns for Senior Center members and the public. The volunteers begin processing income taxes on the first week of February. The first two weeks are reserved for senior citizens only. Please contact the Hobbs Senior Center for more information. Painting classes are offered through the Parks & Recreation Department. The classes are held at the Agnes Kastner Head Community Center. Fees are determined by the Recreation Department. The Agnes Kastner Head Community Center may be reserved for use by educational, civic, cultural, governmental, and other non -profit groups. It may NOT be reserved for private parties, rallies or fundraisers. You must turn in your request for a reservation at least 48 hours in advance of your event. Print out the Reservation Form, fill it out, and bring it to us!